The first records of Keele are of King Henry II granting the manor to the crusading Order of Knights Templar at some time between 1155 & 1163. The Templars were exempt from ecclesiastical taxation and penalties, and also received privileges from the Crown. This made the manor attractive to tenants and the village began to develop. In 1308 the Templars were suppressed In England and the manor of Keele passed into the hands of that other great crusading order, the Knights Hospitaller. The Knights Hospitaller suffered the same fate as other religious orders in England, with their property seized by the Crown when the order was dissolved in 1540. 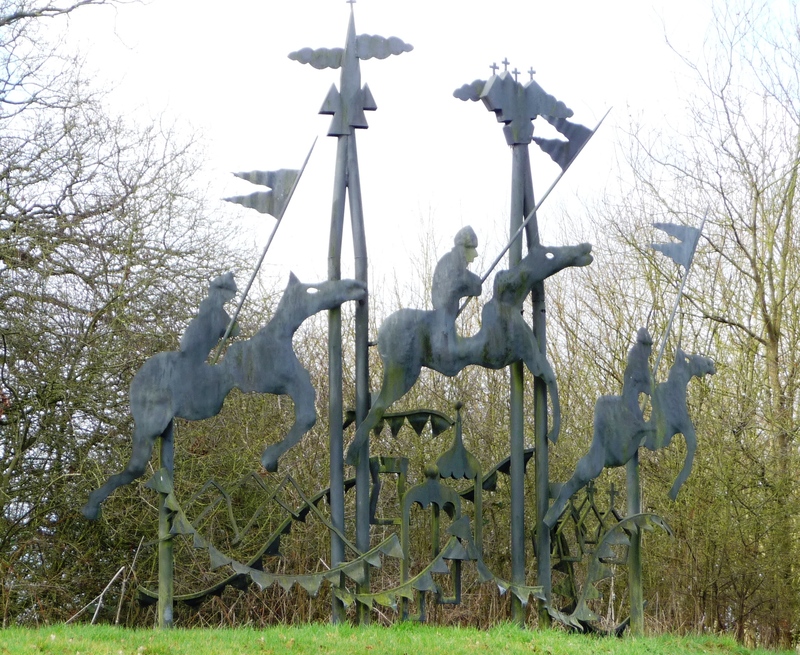 This period is remembered by Knights Croft (a road off Quarry Bank Road) and by the wrought iron sculptures at the Newcastle end of the bypass. The parish church is named after St John the Baptist, patron saint of the Hospitallers.